Twenty years ago, two 15-year-olds in Erie, Angela Euell McNair and David Dix, dreamed about starting their own businesses. McNair wanted to run a second-shift childcare center. Dix also would be working late hours — at his restaurant/bar/nightclub in the former Isaac Baker building, the art-deco treasure at E. Seventh and State streets. "It was a cool building. I thought it would be a great location, centered near some commerce, right across from City Hall," he said. He named his business The Players Club, after a popular Outkast song. While McNair, Dix and other teens studied financial literacy, learned about collateral and discovered how to devise a business plan by participating in the Minority Youth Entrepreneurial Program, Gary Lee was looking at the big picture. He worked to raise expectations, so that young African-Americans could see themselves as part of the process as Erie grew and prospered, especially on Erie's bayfront. Today, McNair, 37, and Dix, 38, attribute their success as entrepreneurs to the lessons they learned at the entrepreneurial training program. McNair was a student at Central High School and Dix was at Cathedral Prep when they were accepted into the program, which met for four hours a week, for 14 weeks, at Gannon University. With Lee and Justin Coleman as the instructors, the program was offered to 20 students twice a semester between 1992 and 1996, said Lee, who has served as director of administration for Erie County since 2014. Coleman is now a development director who has raised millions for a private school in California, said Dix. 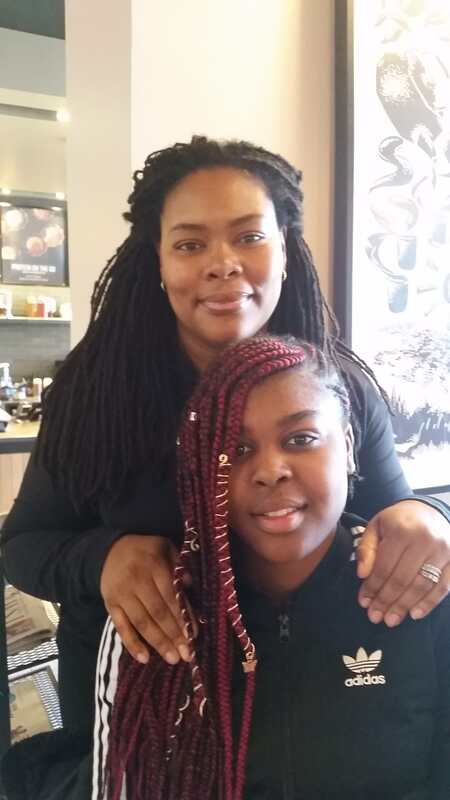 Angela Euell McNair is a mother of five, including Angelina, 15, a ninth-grader at Collegiate Academy. Angelina got an introduction to running her own business when she made and sold scarves. "It really was ahead of its time," Lee said about the entrepreneurial program as he paged through a calendar that one class designed and marketed as a college scholarship fundraiser. The program began as a pilot project in Philadelphia at the urging of former state Sen. Roxanne Jones before expanding statewide. It ended when funding was cut. "Hindsight is 20-20," Lee said. "We as the leaders did not have the vision to leverage the money with private money." Gary Lee, an instructor with the Minority Youth Entrepreneurial Program, holds up a calendar designed by a student. Not every student became an entrepreneur, and some who started businesses chose careers far afield from the ones they dreamed about as teenagers. A young man who wanted to become a doctor is a patent lawyer. Another who wanted to become a TV producer runs a successful DJ business in Pittsburgh. A would-be fashion designer is a nurse. A potential certified public accountant works for the federal government. But the entrepreneurial skills they learned served them well. "It gave us hope that we as young black kids could be successful business owners, or just successful, period," said McNair, 37. "We had to figure out what business we wanted to have, and plan for it, how to get it together," she recalled. As a teen, she knew that she wanted to work with children. She also knew that although there were first-shift daycares owned by African-Americans in Erie, there were no minority-owned, second-shift childcare centers. It took time for McNair to realize her dream. After receiving her bachelor's degree in social work at Edinboro University of Pennsylvania, she married, started her family and commuted once (and sometimes twice) a week to the University of Pittsburgh to earn her master's degree in social work. "I'd leave at 5 o'clock in the morning and get home at seven," she said. Working as a mobile therapy behavior consultant, she began plans for her childcare center in 2013. Her dream became a reality in 2015, when she opened JumpStart Early Learning Center, at the Booker T. Washington Center. McNair, the mother of five children, including seven-year-old twin girls who are on the autism spectrum, knows firsthand the challenge of finding quality childcare, especially in summer. "Enough is enough," she decided. "It's time to pursue my goals." But it was hard to find financing for her business. For the first two months, friends helped out as she ran without an operating budget to serve a couple of kids. Now, the center, which cares for 50 to 60 children, is open first and second shift, seven days a week. She employs 10 people and is awaiting certification from Keystone STARS, a continuous improvement program for quality pre-K programs. Today, Dix, 38, fondly remembers his dream to open a nightclub in downtown Erie. "I did not win the business plan competition," he joked. But the influence of the entrepreneur program stuck with him. "The program itself was really rigorous," he said. "I remember going through a pretty intense interview process and application. It was the first time I ever experienced anything that intense." After high school, Dix pursued a double major in political science and marketing at Indiana University of Pennsylvania. 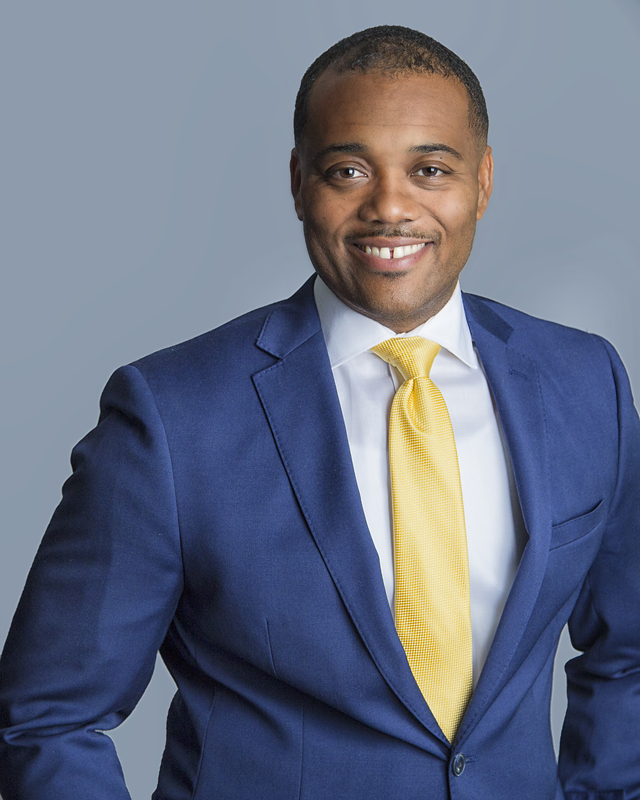 Eight years ago, he co-founded Luminous Strategies, a public relations/international campaign management firm, based in Harrisburg, with offices in Philadelphia and Pittsburgh. He became the sole owner a year-and-a-half ago. On March 13, during Gov. Tom Wolf's roundtable discussion on racial disparities in Erie, held at Climate Changers ministry, Lee highlighted the success stories of the two young entrepreneurs. In separate interviews later, McNair, Dix and Lee talked about their experiences with the entrepreneurial program and their hopes for Erie. 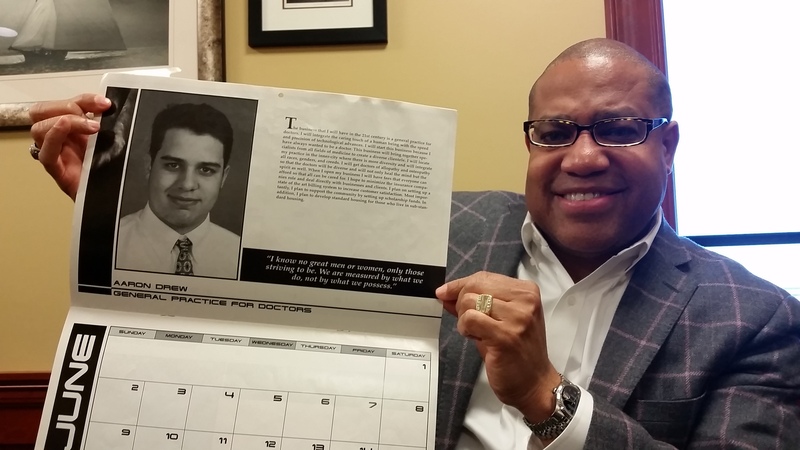 "I got black power economics … at (age) 15," said Dix. "It not only inspired me but liberated me, that things were possible I didn't even fathom." David Dix dreamt of opening his own nightclub as a teenager in the Minority Youth Entrepreneurial Program. Today, he is sole owner of Luminous Strategies, a public relations/international campaign management firm based in Harrisburg. Entrepreneurship programs are needed now more than ever, he said. "Millennials can't count on working 40 hours a week at the same place for 40 years." Programs to retool the workforce should be "lauded, supported, encouraged," he said. "We have a failed educational model that doesn't account for how the economy works today. We have to start to train people who won't be working at the same place forever, particularly around technology that is transferable." McNair said the teen entrepreneurship program was helpful because it "gave you the mindframe that you can do more than what people perceive." The program also "made other people feel like they have a voice." She has certainly exercised her voice. In November, she was elected to her second term on the Erie School Board, where she started the Better Together program to engage community members on important educational issues. Lee would like to organize a reunion for graduates of the teen entrepreneurial program, and perhaps do a new calendar, to show where they are today. Of course, he would show them the old calendar, the one that used a stock photo of a booming waterfront city, with "Dobbins Landing" superimposed on the picture. "We had a vision of what we wanted the city to look like," he said. As plans proceed for bayfront development, for the Erie Insurance expansion and for other projects in the city, that 20-year-old vision captured in a photo on that calendar is becoming reality. "I see inspiration and hope," said Lee. But many of the entrepreneur program participants don't live in Erie now. "My hope is that they will return to Erie someday and be a part of developing Erie's entrepreneurship ecosystem for all people," he said. LIZ ALLEN, a retired editor from the Erie Times-News, still follows the careers of young people who wrote for the newspaper's teen program, Fresh Ink, and who worked as college interns.